Washington, January 19: US President Donald Trump will hold a second summit with North Korean leader Kim Jong-un in late February on dismantling Pyongyang's nuclear and missile programmes. White House announced yesterday after President Trump met top North Korean negotiator Kim Yong-chol in Washington. White House press secretary Sarah Sanders said a location will be announced later. She said that Mr. Trump’s talks with the North Korean envoy were productive but added that the United States is going to continue to keep pressure and sanctions on North Korea. The two leaders had met on June 12 last year in Singapore for the first summit. 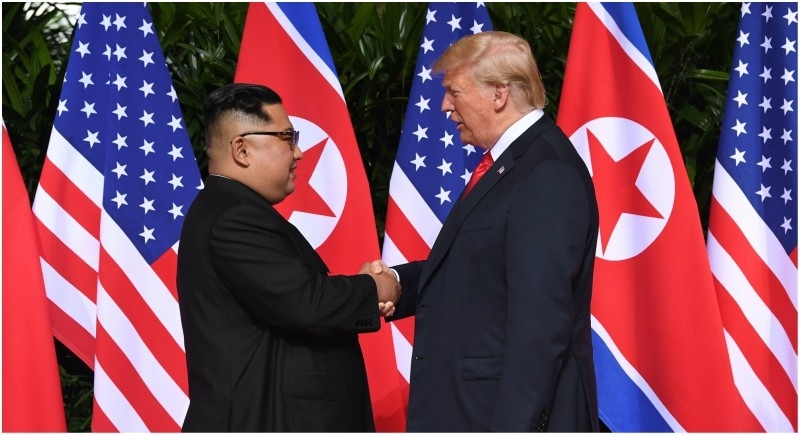 Trump and Kim Jong Un's summit in Singapore in June ended with a commitment from the North Korean leader to "work toward complete denuclearization of the Korean Peninsula, but negotiations appear to have stalled since then.